Chose from our Air Conditioned 49,51 and 57 Seat Coaches, with retractable Lap Belts, some with WC. 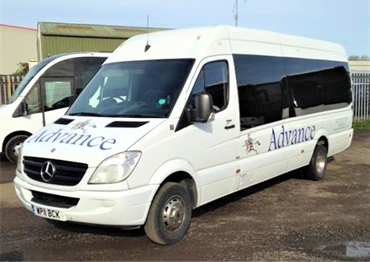 Advance is a family run coach and minibus hire service based in Southend-on-Sea Essex, giving a friendly courteous service. 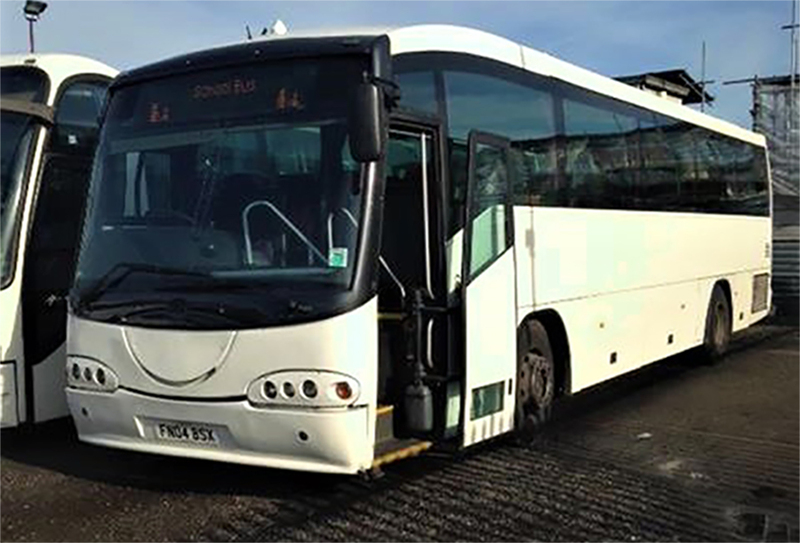 We are licensed with the DVSA, and hence our buses are checked for safety every six weeks. We are fully insured so you don't have to worry about anything. We are contractors to Local Authorities and Schools. 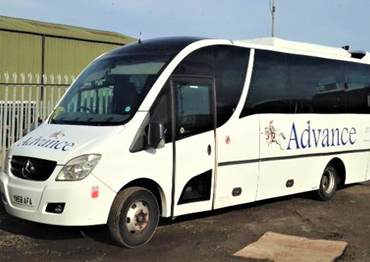 Our principal business is golf days out, theatre trips, weddings, race days, holiday resorts transfers, airport and sea ports drop offs or pick ups. We will always try to accommodate your needs. 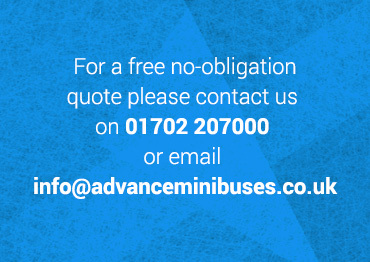 Whatever the size of your party, we have the vehicle and a smart, experienced CRB checked driver and will do our best to give you the keenest possible price and the most reliable service. We can cater for the following events and air and sea port transfers. 16 , 24 and 29 Seat Mini Coaches, all with 3 point seat belts. 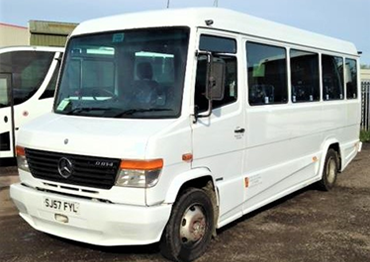 We always have at least one 16 seater with a large boot for golf clubs, skis holiday baggage etc. Our Air Conditioned 16 Seat Mercedes, with large luggage boot. Our 24 Seat Mercedes Utility Coach. Our Air Conditioned 29 Seat Mercedes Coach with large Luggage Boot. 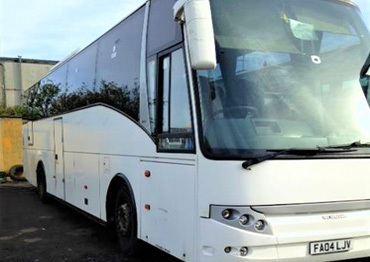 For parties of more than 29 we prefer to use full size coaches, priced according to the number of passengers as these provide greater luggage space and comfort. We have Air Conditioned coaches at 49 and 51 seats with toilet and 57 seats without toilet. Our Air Conditioned 51 Seat Coach. 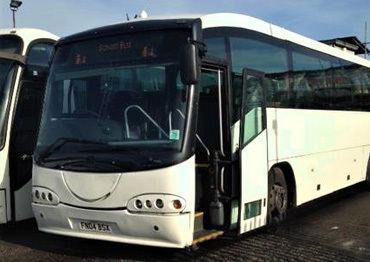 Our Air Conditioned 57 Seat Coach. Please complete the form below and we'll get back to you with our best price. Are there any other details that you think relevant or does your party have any special requirements?